Lurbinectedin (PM1183) monotherapy induced responses in patients with relapsed small cell lung cancer (SCLC), achieving the primary endpoint of overall response rate (ORR) in a single-arm phase II trial, according to an announcement from PharmaMar, the company developing lurbinectedin. The primary endpoint was met by both investigator review and Independent Review Committee, the announcement stated; specific findings will be presented at an upcoming medical conference. Lurbinectedin was the focus of a multicenter phase II basket trial investigating the safety and efficacy of the agent across various advanced solid tumors. The SCLC cohort included 105 patients from 9 countries in Europe and the United States. Patients in the trial were treated with 3.2 mg/m2 of lurbinectedin as a 1-hour IV infusion once every 3 weeks. Those in the SCLC cohort must have received 1 prior chemotherapy-containing regimen and must have an ECOG performance status of 0 to 2. Prior treatment with trabectedin (Yondelis), central nervous system (CNS) involvement, or any prior or concurrent malignancies was not accepted. The primary endpoint was ORR, and secondary endpoints included duration of response (DoR), progression-free survival (PFS), and overall survival (OS). Interim results of the trial were presented at the 2018 ASCO Annual Meeting with data from 68 patients. Of 61 evaluable patients, 24 achieved a response for an ORR of 39.3% (95% CI, 27.1%-52.7%). Twenty-one additional patients achieved stable disease, 7 of which had stable disease for at least 4 months, which amounted to a clinical benefit rate of 50.8% (95% CI, 37.7%-63.9%). The overall disease control rate was 73.8% (95% CI, 60.9%-84.2%). The median DoR was 6.2 months. Median PFS was 4.1 months with lurbinectedin (95% CI, 2.6-5.7). At 6 months, the PFS rate was 36.3% (95% CI, 23.2%-49.5%). The median OS was 11.8 months (95% CI, 9.6-15.9). At 6 months, the OS rate was 79.3% (95% CI, 67.6%-91.0%) and was 43.1% (95% CI, 22.5%-63.7%) at 12 months. Among 66 patients with SCLC treated with lurbinectedin, the most common grade 1/2 adverse events (AEs) observed included anemia (86.4%), ALT increase (58.5%), fatigue (51.5%), AST increase (36.9%), neutropenia (31.8%), thrombocytopenia (31.8%), nausea (31.8%), AP increase (24.6%), vomiting (18.2%), anorexia (16.7%), constipation (10.6%), bilirubin increase (9.4%), and diarrhea (9.1%). Frequent grade 3/4 AEs included neutropenia, anemia, febrile neutropenia, ALT increase, fatigue, and thrombocytopenia. Eleven patients required granulocyte-colony stimulating factor. Lurbinectedin is a selective inhibitor of trans-activated RNA polymerase II transcription, which can be overactivated in certain tumors, such as SCLC. The agent, which is structurally related to the FDA-approved agent trabectedin, blocks the transcription leading to a cascade of events promoting apoptosis. 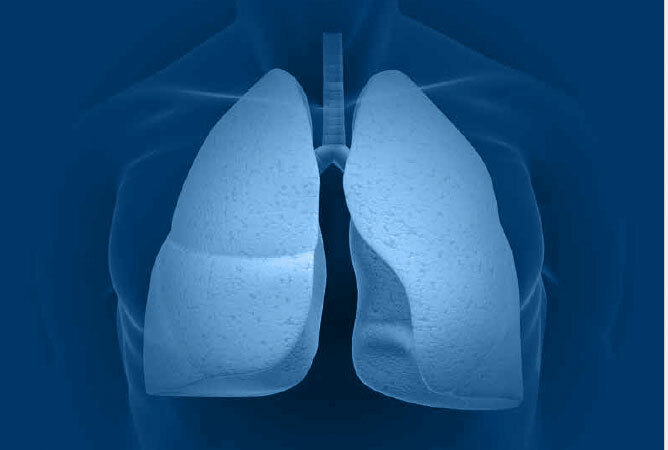 In August 2018, the FDA granted lurbinectedin an orphan drug designation for the treatment of patients with SCLC. Additionally, in January 2019, the agent received a positive opinion from the European Medicines Agency for an orphan drug designation in Europe for the treatment of SCLC. The agent is also being investigated in the phase III ATLANTIS trial (NCT02566993) for the treatment of patients with relapsed SCLC following the failure of 1 platinum-containing treatment regimen. The combination of lurbinectedin and doxorubicin is being compared in the study with cyclophosphamide, doxorubicin, and vincristine or topotecan, with a primary endpoint of OS. According to PharmaMar, the trial completed enrollment in July 2018 and is awaiting results. PharmaMar announces positive results in its lurbinectedin monotherapy trial for small cell lung cancer. PharmaMar website. Published March 25, 2019. pharmamar.com/wp-content/uploads/2019/03/PR_Lurbinectedin-phase-II-results_OK.pdf. Accessed March 25, 2019. Trigo JM, Leary A, Besse B, et al. Efficacy and safety of lurbinectedin (PM1183, ZEPSYRE) in small cell lung cancer (SCLC): results from a phase 2 study. J Clin Oncol. 2018;36(suppl; abstr 8570). doi: 10.1200/JCO.2018.36.15_suppl.8570.